Strip. Mosfets instead of ThermalTrak bipolars. Check. One 500VA power transformer instead of two. Check. No bridging feature. Check. Less current. Check. 30 pounds lighter. Check. No back-lit logo doubling as power switch. Check. Lesser sound. Check. Mate, not so fast! Uncheck that. That, in brief, was the project brief for Dan Wright's KWA-100, 'half-size' baby brother to his previously reviewed and colossal KWA-150. 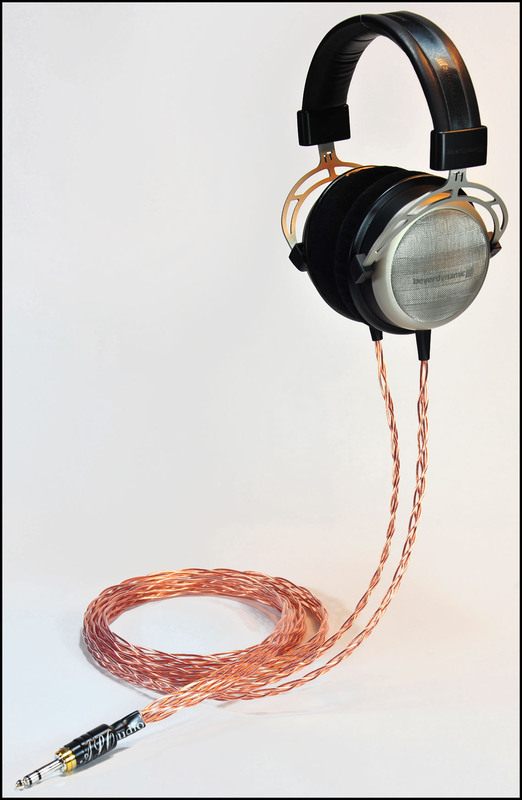 Retained are the 17" x 17" foot print (height shrinks from 9" to 6") and single voltage gain stage designed by Alan Kimmel who supplies the 'K' in the nomenclature (Wright and Amplifier make up the rest). Retained also are the direct-coupled zero-feedback circuit, the true balanced floating inputs, the regulated power supply for the input stage and class A/B bias. 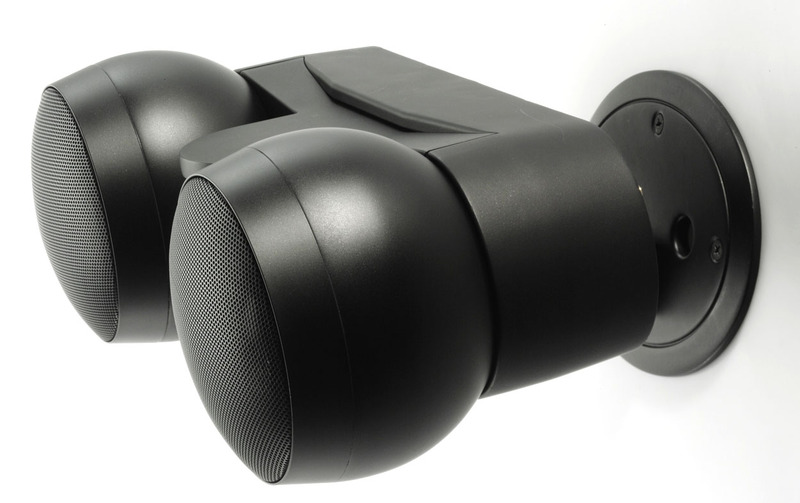 "The two products have a similar house sound yet serve different system needs with their distinct sonic characters. 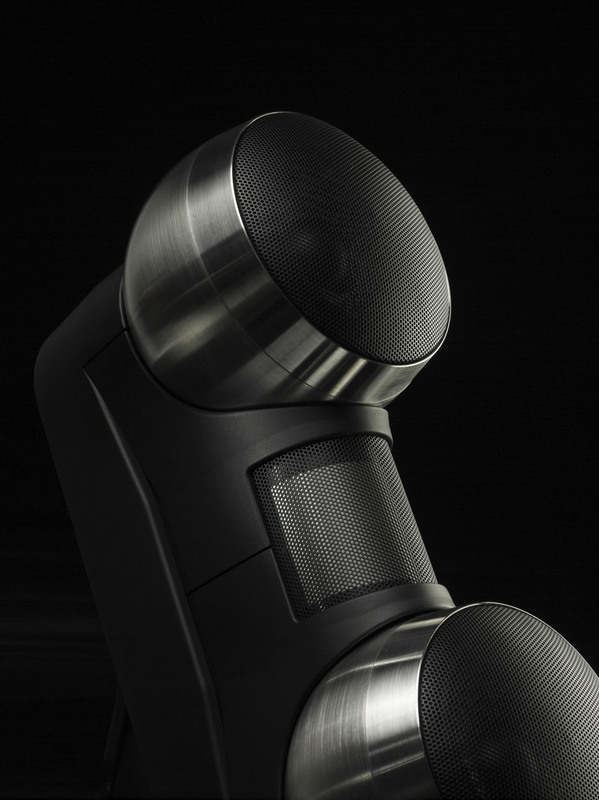 The KWA-150 is better at driving more difficult speaker loads and more resolving for higher-end systems. The KWA-100 is plenty capable to drive any reasonable load but may have trouble with very low impedance loads. It also has a slightly warmer tonality thanks to the Mosfet output devices. At $5.995 the 150-watt dual mono KWA-150 is our flagship amp. 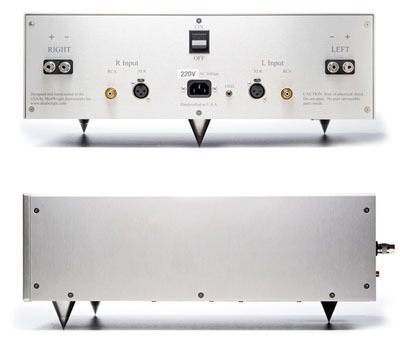 At $3.295 the 100wpc KWA-100 sibling was designed to suit our new LS-100 preamp and phono stage at the $3K mark. The LS-100 will have remote control for power, mute, volume, input selections and triggers. It will have a balance control, chassis ground lift toggle, 4 inputs, HT bypass, tape loop with monitor input, three sets of RCA main outs and a headphone output. An LED inside the volume knob confirms setting. The logo will be backlit just as the amps. We'll eventually also have a matching integrated amplifier." 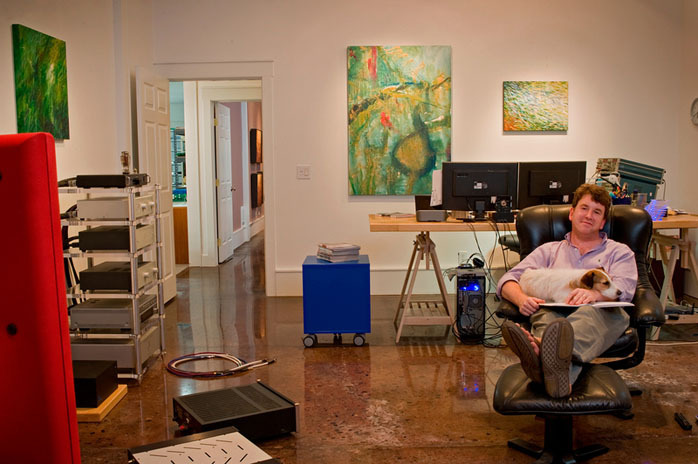 "Our SWL 9.0 preamp was first released seven years ago and named after my son Spencer Wright who was 9.0lb. at birth. The first 9.0 quickly became 9.0SE and eventually evolved to the 9.0SE Signature Edition. Like my son, the 9.0SE grew and developed into something greater over time. We found ways to improve it in small and greater ways. 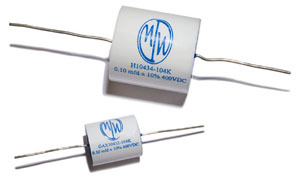 The most significant changes were the tube-rectified power supply and custom MWI capacitors. "We then further improved upon the tube-rectified supply to include sophisticated dual-discrete transistor voltage regulation. The final price of the 9.0SE 'Sig. Ed.' was $3.000. It is being replaced with the LS-100 priced at $3.295. It takes up where the 9.0SE left off, with more features, a larger enclosure with future upgrade option (DAC or phono), a headphone out, more remote control options and the 6SN7 driver tube." Context. Mod man gone manufacturer is the backdrop, a penchant for valve sound but transistor control and noise floor a constant. 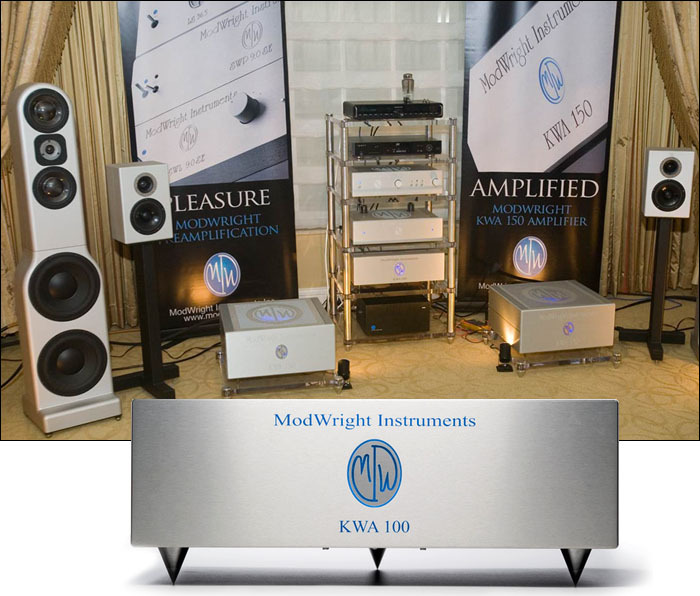 Hence all ModWright preamps are tube-based—as is Dan Wright's Transporter source mod—while the amps are solid state, albeit with that special transformer-coupled discrete input stage. That was tweaked to approach valve sonics whilst transforming the single-ended input into a balanced feed for dual-differential amplification. Interestingly, the huge Thorens Circlotronic monos with tube voltage gain perform their input phase splitting with op amps. Dan Wright prefers transformers and already did for his LS 36.5 preamp to accomplish the same 'RCA to true XLR' conversion. Sympathy for SET simplicity manifests further in the KWA-100's two-stage architecture (voltage gain + current buffer) and its complete avoidance of negative feedback. 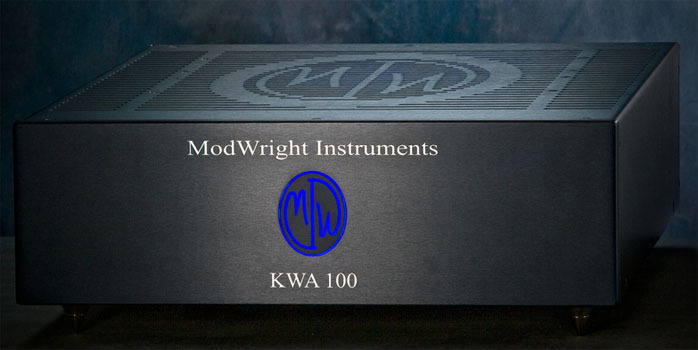 The ModWright then goes beyond most valve amps by throwing out all signal-path capacitors. In short, it's probably how a valve amp maker would approach a sand amp design, including the choice of Mosfet over bipolar outputs. On appearance, ModWright has added black as the new silver to properly mingle and mix with other choses noires. In either case (work), the KWA-100 is très chic without, excuse my French, speaking a word of it. While the master power switch putting the amp in standby is now on the back, the logo remains backlit just as it is with the KWA-150. A new feature is the blue defeat. "We decided there was little purpose for a high/low bias switch because high bias is the ideal operating point and doesn't run hot like the KWA 150. The temperature difference between high and low bias was negligible so we did away with it. Some people however have asked for a way to turn off the internal LEDs to not conflict with a video screen and such. We have thus turned the original bias toggle into an LED on/off switch." Also new is a small micro switch under the front left corner near the cone footer. That activates the start-up sequence from standby. While named KWA-100 and nominally rated at 100wpc, the amp actually measures 140 watts into 8 ohms, 190 into 4 and 225 into 2 ohms even though it really was not designed to drive 2-ohm or lower panels and electrostats. It will comfortably handle a nominal 4-ohm impedance dipping to 2 ohms but run out of steam into a speaker that spends any time near 1 ohm. It operates at a much lower temperature than the KWA-150 by running primarily in class A/B. Finally a confession. Sight unseen, I traded 'down' and my KWA-150 for the KWA-100. I simply didn't need the power of the big boy. What's more, its serious heave-ho weight of 70lbs becomes rather less fun when you're constantly moving things about. With a silver KWA-100 inbound for review—I leave black to New Yorkers—I returned my KWA-150 as trade-in to Amboy/Washington before the replacement arrived. Hence no direct A/B. Having been around the audio block a few times, I was quite certain that the smaller amp would probably be sweeter and perhaps even more transparent in the treble and overall a touch warmer. That appealed. In turn, I'd not miss ultimate drive and bass slam into beastly loads which I neither own nor—as the intervening year with the 150 had clearly proven—pursue for review. I'm really more of a smaller amp sissy boy than true macho amp man. Not that 100 transistor watts are wuss turf by any stretch.